Support, resources, empowerment, and advocacy for the dyslexic community. was created by two moms in Plano, Texas who felt isolated and were struggling to find help for their dyslexic kids. When they met they realized how much help they were to each other, sharing information and advice. They created IDEAS to try and reach others. 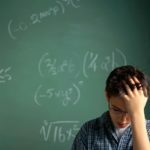 Dyslexic students have unique needs and it can be a confusing and stressful road to travel alone. They hope that by sharing ideas and information, they might be able to help alleviate the isolation and confusion for other parents and create a positive environment for progress and change. Marci Soulakis Orr’s published article on the decision to send her son to a new school. My son is now a sophomore in college studying geology and pursuing his goal of working in the space sciences. Getting him here was a long and often challenging road. In many ways, my son’s journey can be summed up with the words of his elementary school principal, “Your son is the only dyslexic child we have.” Unbelievably, this was told to me in a public school of over 400 K-5 students. A couple of years later I was told by the Language Arts Curriculum Chair responsible for overseeing the district’s dyslexia program that, “Dyslexia is a grain of sand in my beach of responsibility.” The question that consistently plagued me as a parent was, do you stay and fight or leave for higher ground? Throughout his time in public school, the district remained combative and unwilling to step up; they would continue to do the minimum. It was as if they felt that by providing my son a true dyslexia program, they would be admitting their culpability and lack of services. My bright son started to fade; he felt outcast, misunderstood; his self-esteem was starting to plummet, so we started looking into private specialized dyslexia schools without a clue of how we would finance it. But ,after a five-year battle which included: efforts to educate and inform the teachers and administrators, bringing in countless professionals including pediatricians, advocates, and dyslexia experts, forming a parent group to support dyslexic students (surprise there was more than one!) and after spending endless dollars on tutoring and testing, we fled for higher ground. Our pediatrician helped us with this decision. The Doctor explained that using any money we had saved for college would be better spent getting the proper instruction at a private school. This would help to preserve our son’s love of learning and rebuild his battered self-esteem so that he could make it to college. We toured many schools, luckily, in the Dallas area we are fortunate to have options. Some were entirely out of reach financially; a few felt depressing, but one stood out that felt like a fit. We scheduled a “shadow day” for our son to visit the school where he spent an entire day following a current student and attending classes. At the end of the day, the teachers wrote up a summary of how he did in their class. The detailed notes had a powerful statement that my son was leaning towards a “learned helplessness” The head of the school explained, that often in public school settings students learn to rely on the lowered expectations of teachers and accommodations instead of developing the higher level skills themselves. This was a wake-up call I didn’t even know I needed. The mission of this particular private school was to instill responsibility for work and return a love of learning necessary to be successful in his educational future. My son started 6th grade at the new school while my daughter continued into 4th grade in public school, having two kids in separate districts seemed like a big deal to me at the time, but I soon realized, the move benefited my daughter as well. She felt the stress alleviated, and it gave her the space to live out from under the shadow of our family’s battles with the district. We struggled to pay the tuition; the school had a small amount of financial aid, we received help from grandparents, and we took out loans so that we could make it work. My son thrived in the small environment, and as his confidence grew he became editor of the school paper, head sound tech for the theater department, and was in the honor’s reading program. He was able to do all this because he received the right instruction, the school understood dyslexia and learning differences and raised the bar for learning. He was no longer just another struggling student, as he was in public school because here they saw him. It was not a perfect school; there is no such place, but he was able to thrive, and that was worth every penny borrowed, scraped together and spent. I did not give up on the fight for other students in public school and continue to work to make changes in district dyslexia instruction and policy. Over the years there has been a significant improvement, students today are getting diagnosed earlier and given proper instruction, there have been great strides, just not in time for my son. My hope is that you may find the answers to the complex dyslexia puzzle that serves your child best so that they too can find success in school. My best advice is don’t be afraid of change. If you have fought the fight and are still not seeing results, if your child’s self-esteem is changing right before your eyes, and if you don’t think his education will improve, it is sometimes not only the best but the only solution.